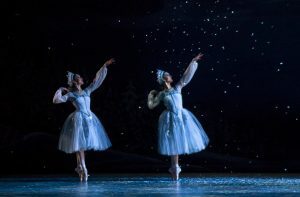 Calgary might come on as a redneck cow town, but it has ten or more professional theatre companies, a ballet company, an opera company and a full-blown symphony orchestra. Much of the city's highbrow cultural life focuses on the Calgary Centre for the Performing Arts , a dazzling modern downtown complex with five performance spaces close to the Glenbow Museum, at 205-8th Ave SE (tel 294-7455). It's also an occasional venue for the acclaimed Calgary Philharmonic Orchestra (tel 571-0270), Theatre Calgary (tel 294-7440) and the well-known Alberta Theatre Projects (tel 294-7475), which usually produces five fairly avant-garde plays annually. More modest classical concerts include the Music at Noon offerings in the Central Library (Sept-April), and the sessions - planned and impromptu - on the small stages in Devonian Gardens. The long-running and well-known Lunchbox Theatre , 2nd Floor, Bow Valley Square, 205-5th Ave SW (tel 265-4292 or 265-4293), offers a popular and wildly varied programme aimed at downtown shoppers and passers-by; performances run from September to May and are somewhat irregular, but tend to start daily at noon (except Sun) in the Bow Valley Square on the corner of 6th Avenue and 1st Street SW.
Calgary's ballet world is dominated by the young and excellent Alberta Ballet Company (tel 245-4222), who perform at various locations around the city. Opera is the preserve of Calgary Opera (tel 262-7286), whose home base is the Jubilee Auditorium at 1415-14th Ave NW. The season runs from October to April. For repertory, art-house, classic and foreign films , try the newly restored Uptown Stage & Screen , 612-8th Ave (tel 265-0120) or Plaza Theatre at 1113 Kensington Rd NW; the National Film Board Theatre, 222-1st St SE, puts on free lunch-time shows. The Museum of Movie Art at the University of Calgary, 9-3600-21st St NE (Tues-Sat 9.30am-5.30pm), is home to some 4000 cinema posters, some dating back to 1920. For first-run mainstream films, head for the downtown malls - most, including Eau Claire Market, have a cinema complex.